Fear and anxiety can keep many educators from embracing open educational resources and open pedagogy. Here, "open" proponents explain common concerns. Open educational resources (OER) and open pedagogy are gaining traction in higher ed, and for good reason — open education expands access to courses, saves students money and invites peer review. But for some students, faculty and administrators, fears about "open" are real, and in some cases, justified. Faculty used to teaching behind closed doors — who are often subject-matter experts without any instructional training — may be worried about opening up their research or pedagogy for the world to see. And students — some of whom may be marginalized and already find themselves targeted by trolls online — may be concerned about completing assignments in the open. Changing the way faculty and students engage with each other in the learning process is a big change, and like any change, can be messy, said Kim Thanos, founder and CEO of Lumen Learning, an organization devoted to helping schools access and use open resources. "I think that I would say generally, there are some very common concerns or fears that a faculty member might have," said Thanos. "It really is the fact that for a long time, teaching has happened behind the closed door within the classroom." "You might have heard, 'What's the second most private location? It's the classroom, and the first one is the bedroom,' right?" said Gerry Hanley, executive director of MERLOT, an online library of free and open online educational resources maintained by the California State University system. Hanley doesn't see fear as the predominant emotion among faculty members faced with adopting open educational resources. Rather, he sees anxiety: about increased workload, about adopting materials they're unfamiliar with, and about what "open" means for accessibility. "I think it's really a workload issue," said Hanley. "Open educational resources don't often have the full package of supplemental material that publishers provide, and so it often means faculty have to pull together additional assignments, homework assignments, what might be lecture materials — things along those lines." Faculty members accustomed to teaching from a textbook may find this kind of workload to be anxiety-inducing. They may not know how to choose the right supplemental materials, or may be worried that they haven't done enough research or looked in the right places. Or, they may worry that if they use something in class without the proper permission, they will find themselves in hot water with a publisher. "Some of them are concerned about the copyright issues," said Hanley. "Do they actually have the permission? Is someone going to come after them and sue them because they're reusing other people's materials inappropriately?" It's a valid fear, he said, and one the Creative Commons license is working to eliminate, as well as organizations like MERLOT and Lumen Learning. The majority of the concerns Lumen Learning hears about OER, said Thanos, are worries that material published openly online won't be as good as the content produced by publishers. 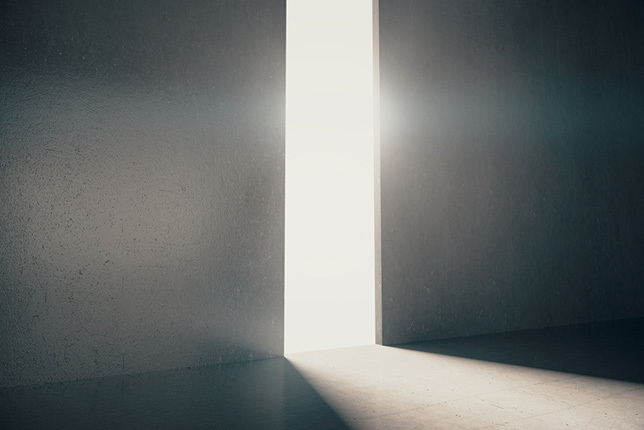 Jim Luke, an economy professor and leader of the Open Learning Lab at Lansing Community College in Michigan, said that fear normally disappears as soon as faculty get a chance to review OER materials. "Most of this stuff is curated anyway. It's essentially been peer reviewed," he said. "They start looking closely at some of the materials, the OpenStax books, and the fears tend to go away." Among the more valid worries is a concern about access. While OER has been touted as a way to get free textbooks into the hands of students, open resources on the internet could disappear in a way a hard copy can't: A server could become permanently or temporarily unavailable, or a resource could be removed. Thanos said faculty are often worried about open resources becoming outdated. If there are major changes in a field, for example, is there a group of experts in place committed to updating the materials with new research? Hanley has heard from instructors who are simply worried about materials disappearing from the internet. "A book always opens, right? As long as you have a light you can read. I think that that fear is not going to go away," he said. "I can't control all the content that I'm using in my daily life. I just rely other people to maintain it, and therefore there's a tremendous interdependence in a networked world that puts you individually at risk of being able to do your work." There is another concern about access: although OER textbooks may be free, students still must have the technology to access them. Not all students do, noted Hanley: "There is still a significant digital divide." He added that while many students may be familiar with social media, they may lack the information and technology communication (ICT) literacy skills to work with OER online. "Just because they know how to use Facebook and Instagram doesn't mean that they know how to use [OER], take notes, highlight, organize their notes using digital content, and that can put them, again, at a study skills disadvantage," Hanley said. That isn't a problem that Cheryl Huff, an associate professor of English and humanities at Virginia's Germanna Community College, has run into. "I haven't seen anxiety on students' part by and large," said Huff, who is also chair of the Virginia Community Colleges' OER Consortium. "Whenever I have a discussion with students about it, I find that they're very excited about the idea of not having to get a book. Not even just having to pay for it, they just love not having to go deal with buying a book." She added that although there may be problems with technology access at home, students who come to class at Germanna Community College have access to computer labs on campus, and are able to do their work there, or print out their reading. And, according to Thanos, many OER textbooks can be ordered as print books. Of all the stakeholders in open pedagogy, Luke finds that students fear "open" the least. He gave the example of a Composition I class in which students were asked to publish one of their essays publically, on the course's blog. "What we found is that students are not fearful at all," said Luke. "As a matter of fact, one of the exciting parts is that they get really fired up." One of his colleagues found the same to be true of her biology students. She'd been assigning the same essays for years, but when she told her students to write those essays on public blogs, the quality of the essays improved dramatically. "They take it seriously. It's actually a chance (for them) to have some voice. I don't think that there is that much fear on their end," said Luke. Students may not have any anxiety about open pedagogy, but faculty may feel anxiety on behalf of students. That's appropriate, said Thanos. "There are some wonderful benefits that come from students sharing their work more publicly, and yet it's not always appropriate and it's not always going to lead to the best work from the student. Faculty members having a sensitivity to that is important," she said. Thanos suggested that faculty may want to give students another option for submitting work if they're not comfortable with an open setting. Such options are particularly important for students who may find themselves targeted on the internet because of their race, religion, sexual orientation or identity. Educators must not get so wrapped up in the "open" hype as to lose sensitivity to the needs of those students, said Rolin Moe, a former assistant professor and director of the Institute for Academic Innovation at Seattle Pacific University. Moe, who spoke at an online panel at the OpenEd 2016 conference in November, is critical of the idea that failure is a virtue in education, and that instructors should create moments of failure so students can learn from their mistakes and pick themselves up by their bootstraps. That doesn't always work, he said, and it doesn't work the same way for all students. "When we think about the failure ethos, it's almost entirely perpetuated by successful white males, who can look back on their personal struggles, quote-unquote 'struggles,' and think about the triumphs they had," said Moe. But for many students, he said, "failure" is more complicated than that. "The problem is, in education, failure has a meaning. It means you have not met the expectations of the course," said Moe. "It's very two-faced of us in education to say, 'Oh, go, go go go go, fail fail fail, it's wonderful, it's great!' But then we're assigning failure as the be-all, end-all, negative consequence for your exploration into education." Forcing students who may already be marginalized to fail publicly in some way — as in publishing their writing on a public blog where they can be trolled — may simply be cruel. Huff, although a big believer in open resources, shies away from asking her students to publish publically. She tells the story of a colleague who required students to post a public review of a book on an open Facebook page. One of the students' reviews was trolled, and the student was then stalked. "Making a required assignment where they have to do something that leaves them in a position where something like that can happen, I'm not really comfortable with that," said Huff. Moe wants to see more administrators think critically about open pedagogy, using open pedagogy where it's most appropriate, rather than using it for its own sake. Scientific work, for example, might be more appropriate when taught openly. But something like creative writing, which is tied to the identity of a student, should perhaps be taught in a more protective environment. "My fear is that we're so beholden to this idea of open as a good, that we hold that above what the true purpose of learning is supposed to be in some cases," said Moe. "I want to encourage people to learn in grand and wide networks, but there are times when that's not going to be the best way to do it." Luke, however, sees open teaching as an opportunity for faculty to help students better understand the things they've been doing online already. "Students are already writing all of this stuff in public. They are already doing stuff on Facebook, on Twitter, on Snapchat and everyplace else, and leaving a huge digital trail," he said. "When we give them the opportunity for the blog or we make the assignment to do these things in public, it brings with it a perfect teaching opportunity. That's the time when we can actually talk to them and get them to learn some of the issues in what you put online and what you don't put online." While instructors might be a little nervous about adopting open resources for their classes, the idea of sharing the materials they've developed for their own courses as OER can be terrifying. "I think faculty members work through that in different ways," said Thanos. "It's not at all uncommon that we work with a faculty member who says, 'The first time I teach this course, I want to not have to be broadly viewed. I'm not ready share it out. I just want to go through it and teach it a few times and really feel good about where I am,' and then they might share it more narrowly at first, have others within their department do a review, share it with trusted peers and then finally make a decision to publish that more broadly and share that more broadly." Huff is an example of this. Disappointed with the books she'd been given to use in her courses, she had been quietly using OER in her own courses at Germanna for years. When she received a Chancellor's OER Adoption Grant to develop OER for her English course, she was nervous about sharing that course with her peers and the community college system, said Thanos, who later worked with Huff on Virginia's Zx23 Project, a zero-textbook degree program. Huff took small steps when making her course materials public, first teaching with them herself, then sharing it with a couple of peers, and then, finally, publishing. Later, with Zx23, as she helped other faculty members move to OER, she saw many anxieties from her peers. "When we started the Zx23 Project, there were a lot of people who got recruited by their admins or whoever was leading the project and they didn't really understand what OER was," said Huff. "There were a couple times people said to me, 'Well, I want to use all the stuff you have, but I don't want you using my stuff.' There were still people who think their intellectual property is worth locking down, but that was pretty rare." This fear comes from a few sources, said Huff. In publish-or-perish environments such as universities, faculty may fear copyright issues, or that publishing their work as open resources won't count toward tenure, the way publication in a journal does. In community colleges, however, the fears may stem from not understanding what OER is, or from being nervous about sharing teaching methods openly. Huff thinks those worries will fade over time, as concerns about distance learning have. "I was part of the early days of distance learning, and there were a lot of misconceptions floating about distance learning … then all the sudden distance learning just became something we do — we don't even think about it anymore," said Huff. "That's always been my hope with OER: we will reach a point where nobody even thinks about it, it's just what we do."